Gilma Garcia de Zuleta, age 87, of Bloomfield, MI passed away Saturday, July 6,2013. Private family services were held. 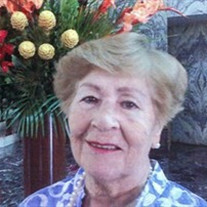 The family of Gilma Garcia de Zuleta created this Life Tributes page to make it easy to share your memories. Send flowers to the Garcia de Zuleta's family.